Fang graduated from the Central Academy of Fine Arts’s Printmaking Department in 1989. He is one of the earliest Chinese avant-garde artists to garner international attention in the 1990s. His rebellious and bald figures reflect the helplessness of the over-stressed, rising generation of modern China. Not only does his work successfully summarize the unique psychological state of a specific generation, it also reflects and responds to the radical changes of the developing Chinese society. 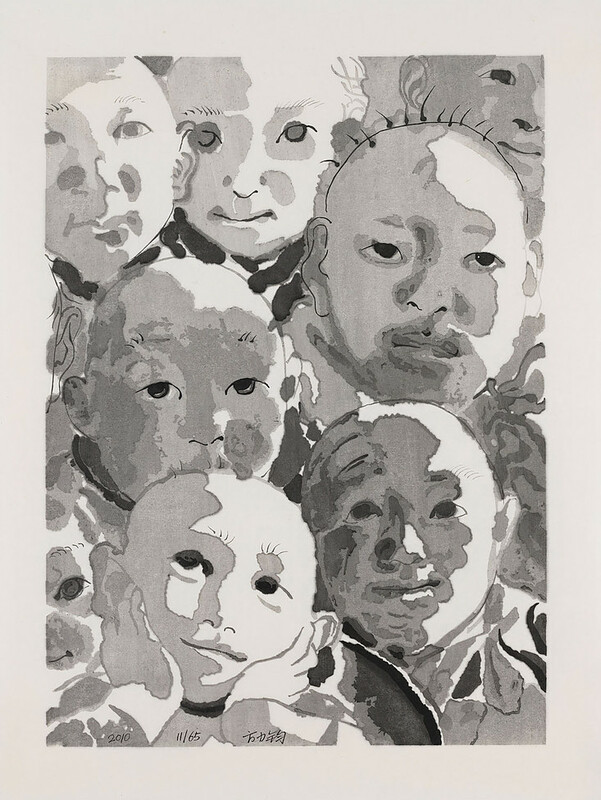 Fang Lijun’s delicate craftsmanship and mature skills are shown by his smooth manipulation of line and texture.